Pete Golden is the Managing Partner for the Mullen & Filippi's office in San Diego. Pete joined the firm on March 1, 2011 and became an Associate Partner on July 1, 2013. He managed our Redding location for five years before moving to San Diego. Pete represents employers, third-party administrators, and insurance carriers in workers' compensation and related matters including subrogation, Labor Code 132a discrimination claims, and claims of serious & willful misconduct. Pete Golden began in workers' compensation in California in 2001, having been previously admitted to the Washington State Bar Association in 1999. 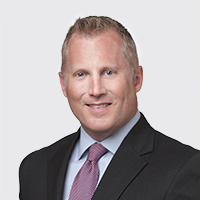 In addition to being a Certified Specialist in Workers' Compensation for the State Bar of California, Pete has experience in civil litigation, including being the lead attorney in trials to verdict before the Superior Court in Shasta and Butte Counties. Pete is admitted to practices before the U.S. District Court of Appeals for the Eastern District of California. Pete obtained his Juris Doctor from Seattle University School of Law in 1998, while working full time. He graduated from the University of Washington in 1994 with two Bachelor of Arts degrees in History and Speech Communication. Pete is a member of the California State Bar Association. A title often used for lawyers is "Attorney and Counselor at Law". It is the counselor part that is the most satisfying for me. I enjoy taking a complex set of facts and issues and presenting my clients with a clear path to resolution. I present an unvarnished view of the nature of both the facts and law so that my client can make a reasoned determination regarding what resolution is in his or her best interest. Depending on the strength of both the facts and the law, we can choose to litigate through trial or to leverage a timely settlement to avoid protracted litigation. My role as an attorney is to pursue my client's best interest first and I take that role very seriously. I have been blessed with three amazing children and my wife and I have had the privilege to raise them to make their own mark in this world. I have had the rare opportunity to live and work in the big city (Seattle) and in a small town on the edge of the wilderness (Redding) and am equally comfortable in both environments. Because of this, I have diverse interests from history and architecture to spending time in nature. My recreational pursuits have included climbing, camping, sailing, river rafting, kayaking, and scuba diving. My sports pursuits have included soccer, tennis, swimming, springboard diving and I have always enjoyed playing over watching.